If you have TechNet/MSDN Subcriptions, download the Windows 8.1, Windows Server 2012 R2, Windows Embedded 8.1 Industry Update (x64) – (Multiple Languages) and extract the file. 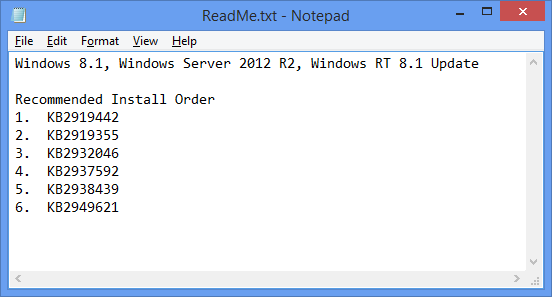 Lists of KB from the extracted file make sure to read the ReadMe.txt before proceeding. 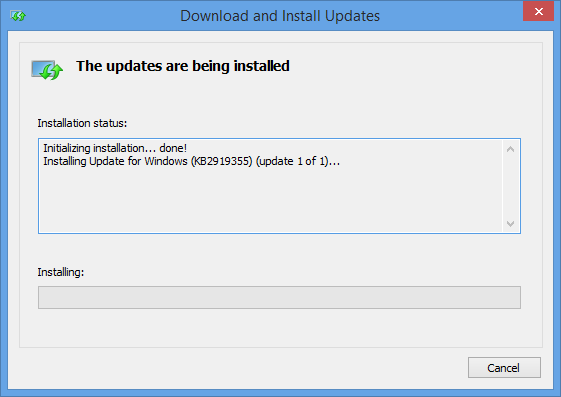 It is recommended to follow the Install Order to update your Windows 8.1 and Windows Server 2012 R2. 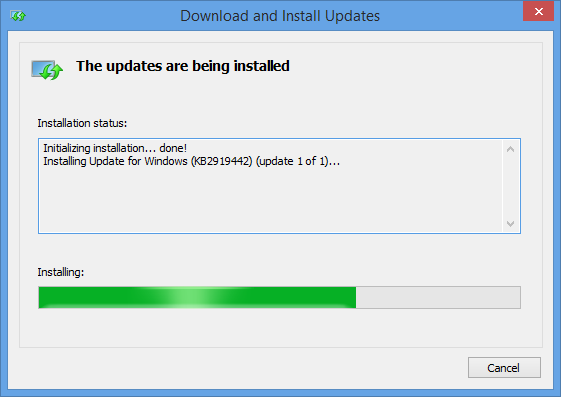 Continue to install the rest of the updates. « Windows 8.1 Update now available!